In the past 15 to 20 years, consumer preferences have changed, as they look for environmentally friendly alternatives to traditional lawn and garden practices. Today’s consumer wants products to enhance their yard without contributing to pollution, killing off pollinators or inadvertently harming pets and people. 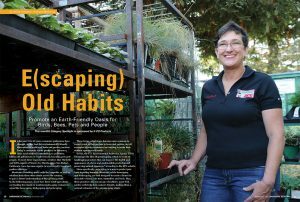 To meet these expectations, retailers like Michelle and Jeff Leopold of Marin Ace Hardware in San Rafael, California, have become experts in eco-friendly lawn and garden offerings. 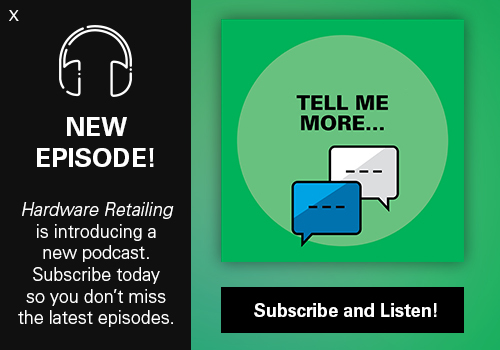 Hardware Retailing spoke with the Leopolds, as well as retailers from three other stores across the country, to gain a better understanding of this growing niche. 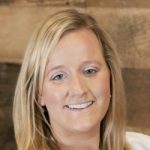 In the following article, learn how these retail operations are leading the charge in modern landscaping ventures in areas like beescaping, birdscaping and petscaping. These terms, which have become more common in recent years as they pertain to lawn and garden, are all examples of ways customers are looking to make their outdoor spaces eco-friendly. In fact, the U.S. Environmental Protection Agency (EPA) encourages the idea of greenscaping, which is “a set of landscaping practices that can improve the health and appearance of a lawn and garden while protecting and preserving natural resources,” according to the EPA website. More specifically, petscaping is a way to protect pets from ingesting harmful chemicals, while beescaping and birdscaping are both designed to create a home for desirable visitors, like bees, butterflies and birds. Plus, these practices also encourage a healthier, more lush garden with help from nature’s friends, making them a natural extension of the greenscaping ideals. 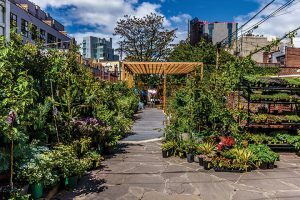 Joe Franquinha of Crest Hardware and Urban Garden Center in Brooklyn, New York, fully embraced an organic approach to the lawn and garden category a few years ago. He says he knew he could convince customers to try green products, even if they were initially reluctant. Whether you’re helping a first-time homeowner pick plants to attract butterflies or a customer pick out a new pesticide, having organic, chemical-free alternatives available is the first step to growing your eco-friendly, organic niche within the lawn and garden category. 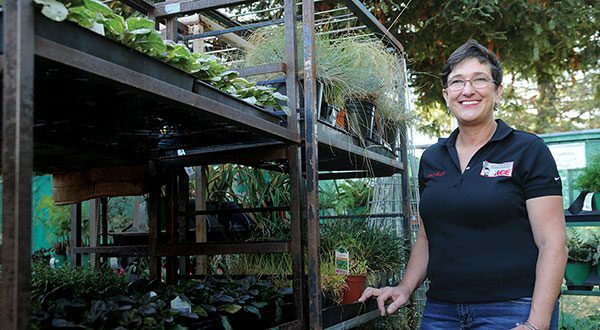 When Marin Ace first opened its doors in late 2011, Michelle Leopold knew she wanted the store’s selection of lawn and garden products to provide a greener alternative for their customers. The business works with local organizations and sources products from vendors that provide organic solutions. The same can be said for customers of Holdridge Home & Garden Showplace in Ledyard, Connecticut, where green products and organic alternatives are a big draw in the lawn and garden category. All retailers who offer those products should do their homework, Wayne Henson, advertising manager for the business, says. Marin Ace Hardware in San Rafael, California, offers a variety of products to attract pollinators to their customers’ yards. Owners Michelle and Jeff Leopold have even partnered with a local association that provides shelf signage for eco-friendly products. When customers walk through the lawn and garden aisles at Marin Ace, they are able to make informed decisions on products even if an employee isn’t pointing something out to them. Signs highlight items that have received an eco-friendly stamp of approval. These products are certified by a local organization called “Our Water, Our World,” Leopold says. The business partnered with Our Water, Our World, which helps raise awareness of the effects pesticide use has on water quality. 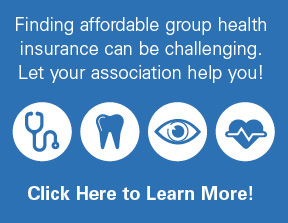 Through this program, the organization comes to Marin Ace and adds labels to the shelves and provides educational pamphlets. These labels are easy to read and declare specific products as eco-friendly and less toxic than competing products. 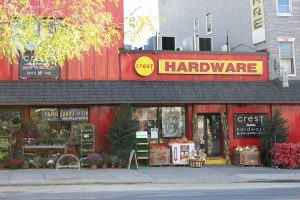 Another business that has taken organic gardening to new levels is Crest Hardware and Urban Garden Center in Brooklyn, New York. While customers weren’t initially asking for the switch, owner Joe Franquinha says he knew he could convince customers to try green products. “I believe organic gardening is very important as a long-term strategy,” Franquinha says. “We have removed about 98 percent of the nonorganic products from our lawn and garden offerings. The Brooklyn store even sells specific live bugs, which naturally get rid of garden pests by eating them, Franquinha adds. 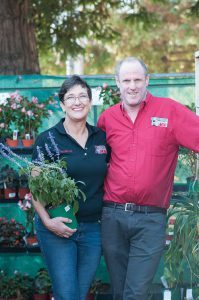 Although convincing some of his older customers to give bugs as pest control a try in the garden takes a little more effort, Franquinha says it’s important to explain the benefits of different options to all generations. We make sure to meet the needs of the young families wanting organic products while still carrying the products our older customers are used to and prefer. 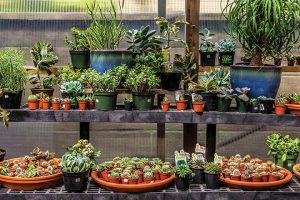 At Green Thumb Nursery in Lake Forest, California, the varying generations who shop at the store also have different preferences when it comes to making purchases in the lawn and garden category, store manager Karen Sandell says. Rather than phasing out the products her older customers prefer, she has a selection that appeals to all. 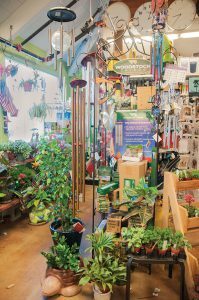 Crest Hardware and Urban Garden Center’s lawn and garden plants and products are almost 100 percent organic now. Along with wanting organic plants in their lawns and gardens, consumers also want to aid the pollinators that help keep their gardens in bloom. At Marin Ace, discontinuing products featuring neonicotinoids was a top priority for Leopold, who learned the damage these insecticides impart on the insects that come in contact with them. The store only sells neonic-free plants, and all pesticides that contain neonicotinoids are labeled as “harmful to pollinators.” Since pesticides containing neonicotinoids are linked to the international bee colony collapse disorder, Marin Ace is a resource for customers who want to help the bee population. According to Leopold, the loss of bees is becoming a big problem, as many bees not only produce honey, but they are also vital in pollinating a variety of plants, including ornamentals, fruits and vegetables. 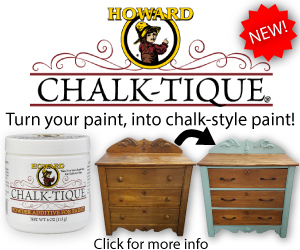 Retailers can also offer habitats for bees, which Holdridge Home & Garden Showplace stocks. The store sells a beehive starter kit as well as mason bee starter kits. These kits provide customers with everything they need to introduce and attract beneficial mason bees to a garden. The mason bee starter kit includes a bee nest, an informational book and certification for six live bees. Just as bee populations are facing decline, monarch butterflies are another pollinator at risk. Holdridge Home & Garden Showplace has been actively involved in helping grow the population of monarch butterflies by releasing them from their store for the past 10 years, Henson says. To increase butterflies in the wild, there is a need for the insect’s host plant of milkweed. The staff educates customers to plant milkweed in their yards, as it is the only food monarch caterpillars can eat before they become butterflies. Attracting birds is another way to keep bugs and pests at bay. At Crest Hardware and Urban Garden Center, customers can find bird feeders, houses and wild bird feed to keep the local bird-watchers or wild bird enthusiasts coming back for more. In Southern California, Sandell at Green Thumb Nursery says hobbyists flock to their store for bird products. Nearly 75 percent are eager to attract hummingbirds and the remaining 25 percent purchase food that draws song birds to their yards, she says. Indoor houseplants are a great way to keep customers gardening all year long. While selling milkweed is necessary for the butterfly population to thrive, it’s important to give customers warnings before purchasing milkweed if they have pets or children, Leopold says. For a customer looking to transform their backyard to a bird sanctuary, Henson recommends having a feeder that is clean and properly displayed, along with a fresh, clean birdbath. Customers should not forget shade plants, as they provide a cool refuge for birds, Henson says. Plants that produce fruit in the fall, such as flowering dogwood and crabapple trees can keep birds around into the winter months. We know our customers are looking for greener alternatives, but we also want to educate them on why certain choices are better. Henson is also aware of the concern people have for their pets outside. He recommends customers provide a grassy area where pets can mark their territory and spend their time. “With petscaping, explain to your customers the importance of paying attention to their pets’ habits outside,” Henson says. “A good cedar mulch doesn’t attract insects like fleas and ticks. Their customers should also be aware of what products they’re using on the lawn, since pets might eat the grass.” One option to offer may be handheld tools that pull out weeds or spray products such as organic weed killers. One of the best ways retailers can establish their rightful place as an eco-friendly lawn and garden expert is by educating their staff and customers who come to them for advice. For the team at Marin Ace, education has been key to spreading the word about the business and their knowledge, Leopold says. We do a lot of product knowledge meetings and have even invited vendors to come in and teach our team about the products we sell. 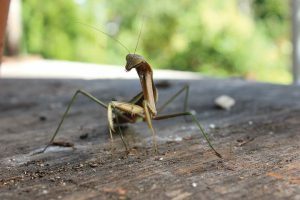 To help customers rid their lawns and gardens of pests, Franquinha says to look no further than beneficial insects, like preying mantises and lady bugs, which he sells live in his store. For four years in a row, the store has hosted a Fall Pollinator event in conjunction with the local beekeepers association. However, to combat that and ensure the bees have the food they need, Marin Ace also educates customers on the types of native plants that will bloom throughout the winter and help the bees. 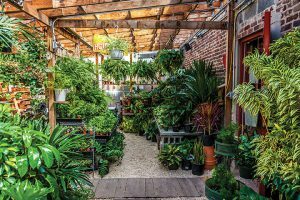 At Crest Hardware and Urban Garden Center, locals escape the hustle and bustle of the concrete jungle and explore a lush garden where they can find ideas for their balconies or backyard spaces. The management team at Green Thumb Nursery knows that to best educate their customers, it’s important to educate their employees first. 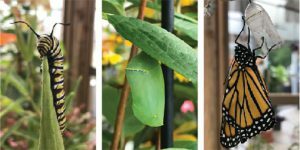 Holdridge Home & Garden Showplace has cemented its expertise not only in organic solutions in the lawn and garden category, but also in its extra attention and care in highlighting the monarch butterfly. In honor of a prior store owner that died, Holdridge hosted a butterfly release event, because butterflies represent new life. The first event went extremely well, with over 200 cars in and around the building, and now, 10 years later, it is an annual tradition, Henson says. The event is also a great learning opportunity, Henson says. I felt I had a moral obligation to offer them something better, and they trusted us and broke old habits. Holdridge Home & Garden Showplace’s butterfly enclosure attracts customers. 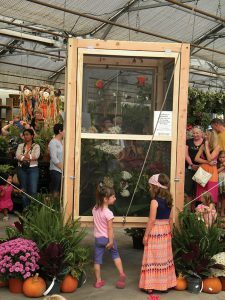 Outside of the annual event, however, Holdridge Home & Garden Showplace makes sure customers are educated all year long with their indoor butterfly enclosure located in the store. Whether a retailer is already heavily invested in organic, natural solutions for the lawn and garden or not, Franquinha at Crest suggests retailers approach the decision by not only thinking about what customers are asking for, but also following what they believe in their gut. At Holdridge Home & Garden Showplace in Ledyard, Connecticut, customers flock to the butterfly enclosure inside the store. Here they can watch monarch caterpillars transform into monarch butterflies. “You want to answer your community’s needs, but don’t jump off the deep end and spend thousands on products people request,” Franquinha says.